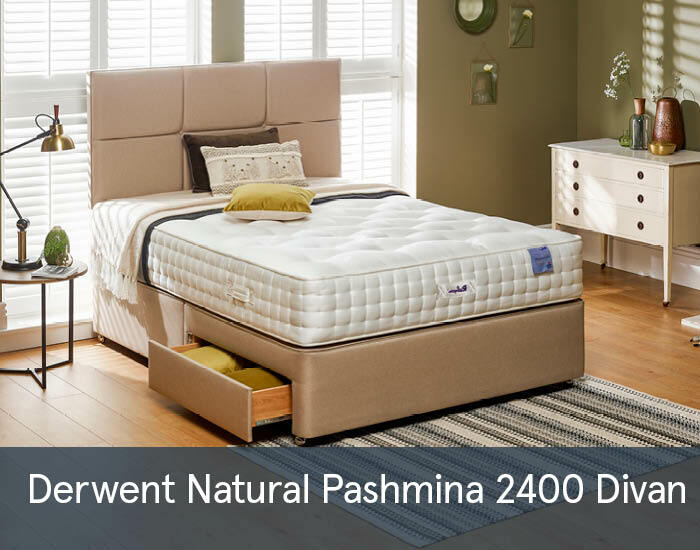 The Derwent Natural Pashmina 2400 range is a handcrafted pocketed mattress which offers enhanced resilience and support. The pocket springs adapt perfectly to the shape of your body, while its refined blend of natural fillings; wool and pashmina provide luxurious comfort and softness. Mattress does not require turning, although regular rotation will extend its life. Available in all standard sizes.